The new Markal Pro-Line HT marker outperforms other high temp markers with PrismaLock color stabilizing technology. Test these markers for yourself and you'll see the difference. 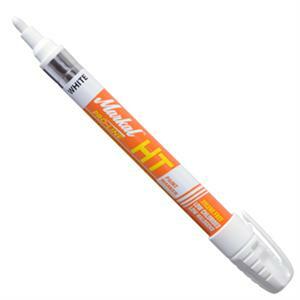 Markal Pro-Line HT are available in four colors and have a durable fiber tip. Call for a free sample of the Markal HT and evaluate versus any other high temp marker!